On Day 25, we're giving you the chance to win some splendid gear from German cooling expert be quiet! 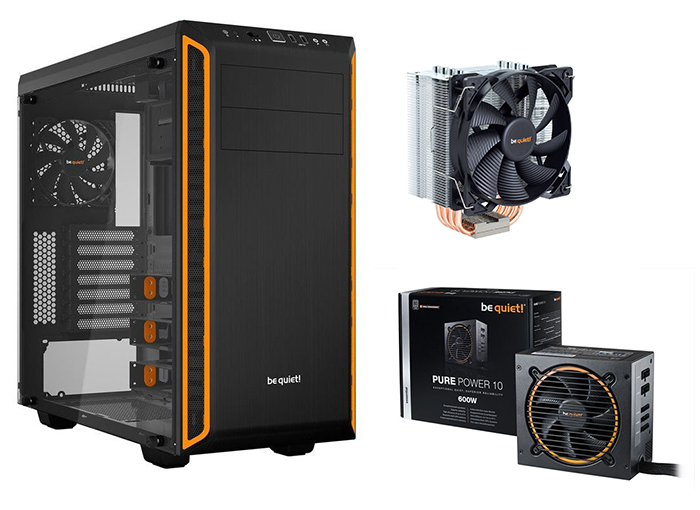 The winner will bag a Pure Base 600 Orange chassis, a Pure Power 10 600W CM PSU and Pure Rock cooler. The competition winner will be picked at random from all eligible entries that arrive by 09:00 London time on the closing date, January 11, 2018. The prize is a be quiet! Pure Base 600 Orange chassis, a Pure Power 10 600W CM PSU and Pure Rock cooler. A modern case with 5.25" drive bays? Count me in! Not everyone has access to a streaming service. I still watch movies on a DVD, and being able to do so with a quieter PC would be very welcome.